(Oregon Coast) – Spring is not only in the air, it officially arrives this Saturday, March 19. For Portland, Oregon and its coastline, it pops into place at 9:30 p.m. (Photo: Depoe Bay just after sunset). It also brings some astronomy parties to the Oregon coast range and the Columbia Gorge. Jim Todd, astronomy expert with Portland's OMSI, said this is the day on which both the north and south pole of the earth are equal distances towards the sun (92.6 million miles). While Portland and Oregon coast weather may not cooperate for these observations, Todd said that from this area's vantage point on March 19 and 20, the noon sun will reach its mid-point in the sky near 45 degrees from the southern horizon. The day of the equinox is an exceptional one for finding due east and due west – from your own backyard. Simply head outdoors at sunrise or sunset and notice how the sun lines up to familiar landmarks. Todd said that we humans on this planet get hit by the Sun's rays most directly during the summer, thanks to the 23.4 degree tilt of the Earth's axis. Sunday will be first full day of spring on the Oregon coast. This season often presents some of the best photographing conditions of the entire year. See why spring is best for photos on the Oregon coast. 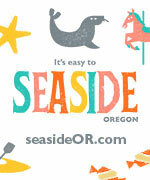 Oregon Coast Lodgings for this - Where to eat - Maps and Virtual Tours. For those really wanting to celebrate the vernal equinox, OMSI, Rose City Astronomers and Vancouver Sidewalk Astronomers are hosting a free Star Party at both Rooster Rock State Park and at L.L. "Stub" Stewart State Park in the coast range. They happen March 19 and are open to beginners and experts. Viewing highlights includes the planet Jupiter, waxing gibbous Moon, Orion Nebula, and more. Rooster Rock State Park is located 22 miles east of Portland on I-84 just east of Sandy River at exit 25. To reach L.L. "Stub" Stewart State Park, take US-26 west of Portland and turn right on OR-47. The event starts at sunset and is free with $5 parking per vehicle. Warm clothing and a flashlight with red light are recommended. Personal telescopes and binoculars are welcome. Make sure to check the OMSI Star Parties site for possible weather-related cancellations. See Oregon Coast Weather.